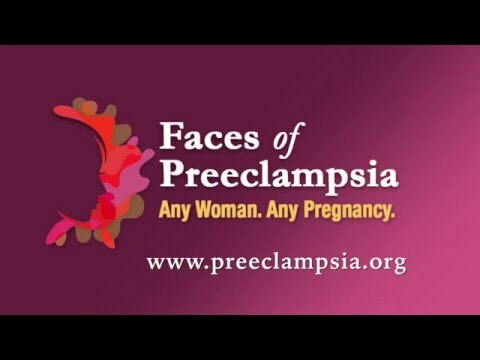 The Preeclampsia Foundation commends the U.S. House of Representatives Committee on Energy and Commerce Subcommittee on Health for holding the hearing, “Better Data and Better Outcomes: Reducing Maternal Mortality in the U.S.,” on Thursday, September 27. The hearing will be broadcast live at 10 am at http://bit.ly/2N7Jnz0. “There has been a tremendous effort with a broad coalition to ensure that policymakers – both Republicans and Democrats – continue to make this legislation a priority and pass it into law this year,” said Eleni Tsigas, Chief Executive Officer of the Preeclampsia Foundation. Our nation faces a growing crisis in maternal health. More women die from pregnancy-related complications in the United States than in any other developed country, and the rate of maternal deaths continues to rise. Major disparities in maternal mortality exist, with black women three to four times more likely than white women to die during pregnancy or shortly after birth. MMRCs are multidisciplinary groups of local experts in maternal, infant, and public health that examine cases of maternal death. Maternal mortality review is a cyclical process that does not end by simply counting and characterizing deaths, but is followed with action by putting the recommendations of the committee to work in hospitals and communities. While these efforts take place at the state level, the legislation will allow for federal guidance through the Centers for Disease Control and Prevention (CDC) to accelerate progress toward ensuring that every state has a high-functioning MMRC. This legislation will also advance efforts among states to standardize the collection and analysis of data. With better data and information, we can develop a national understanding of why mothers are dying and what we collectively can do to reverse this tragic trend.